Dr Michelle Peterie is a Postdoctoral Research Fellow at the University of Queensland and current co-convener of The Australian Sociological Association’s Sociology of Emotions and Affect Thematic Group. Michelle has previously worked at the University of Sydney, the University of Wollongong and the University of New England, and has done research consultancy work in the third sector. Michelle completed her PhD at the University of Sydney, examining bureaucratic violence in immigration detention facilities. Her current research concerns the socio-emotional impacts of punitive policies and discourses, including those targeting refugees, Indigenous Australians and the unemployed. 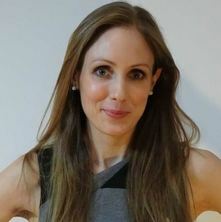 Michelle’s work has been published in Australian and international journals and submitted as evidence at legal hearings. She won the biennial award for the best article in the Journal of Sociology 2017-2018.